Chicago, Il—When it comes to Chicago’s politicians corruption and arrogance knows no bounds. The Looney Left Wing rules the State of Illinois because of the heavy population of Cook County. The rest of the somewhat vast land mass of the state is politically conservative, crime free and under the thumb of dictators they despise. Chicago’s politicians and their appointed bureaucrats have routinely violated citizen’s gun rights for more than three decades. They have falsely arrested and convicted people for merely keeping and bearing arms under peaceful conditions. Finally challenges to Chicago’s gun bans and the state ban on carrying concealed weapons has been ruled unconstitutional by the U.S. 7th Circuit Court of Appeals. They have been given a six-month grace period to craft law that does not violate citizen’s rights to carry concealed weapons. Of course that does not sit well with these jerks that think they are above the law. Instead of making a new law as they were ordered. They’ve crafted amendment after amendment that only makes new gun bans and obstacles for law-abiding gun owners. The bill to legalize concealed weapons is nowhere near being accomplished. Frankly that’s really the best solution. 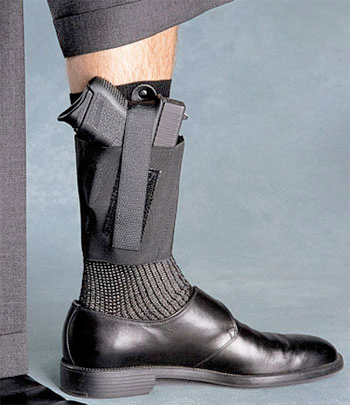 When the 180 day grace period expires and there is no new legislation that can pass muster with the 7th Circuit every citizen with a valid FOID card will be able to carry a concealed weapon virtually anywhere. The FOID cards are issued by the Illinois State Police after background checks and identity verification. It’s a slow process that creates yet more impairment to the right to keep and bear arms. The arrogance, ignorance and hostility of Chicago politicians will backfire as freedom, liberty and the right of self-defense returns to the Windy City. CPD,CCSPD,and many of the suburban agencies will pinch you in a heart beat,probably shoot you too. If your not from the Chicago metro area and not a "street" person you will not understand this.But in Illinois(Cook County/Chicago) they feel they are gods gift to humanity. Why,political hacks with no sense of self worth and inferiority complexes and many types of personality disorders.They feel they and they alone can have a gun and you cannot. They also feel they are highly trained(giggle) and are the only ones in the universe special enough to tote a gun. At 50 years of age and never a previous arrest,these Cook County creatures made a felon out of me for a UUW.And not one time did they mention a plea deal.I,guess as I was told by a prominent criminal attorney." you have been fkd by the system "